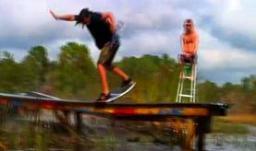 With the help of friends and Epic Boats a pool was built in the backyard out on Lake Mary Jane, Orlando, Florida. 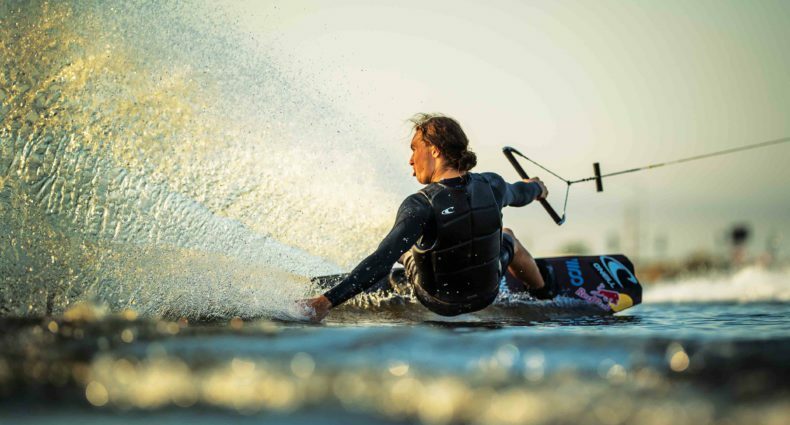 The wakeskaters involved were Reed Watson, Steve Campbell. Aaron Gore, Ben Kaiser, Stephanie Wamsley, and Stef Tor. The pool was only hit for about two weeks then it had to be torn down, but you’ll see more from this pool soon.